I love lights. And I also love to eat. 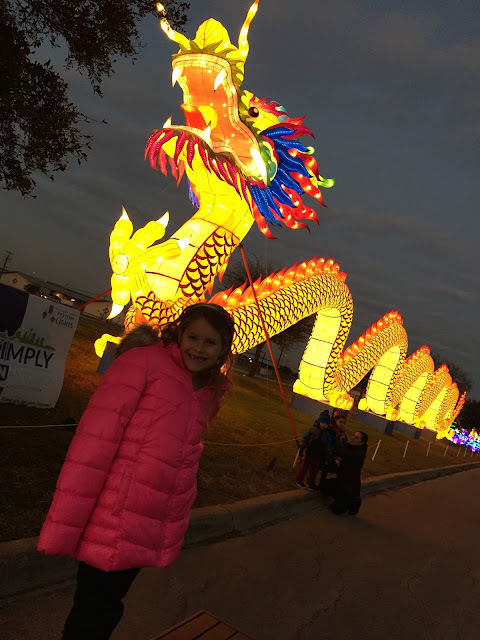 So the Holiday Magic Festival Of Lights at Retama Park was a fantastic place to check out. Yes, Christmas might be over, but that doesn't mean you can't appreciate the lights. And you can also eat. Each year they plan on focusing on a country, and this year it's China! There were so many gorgeous displays. 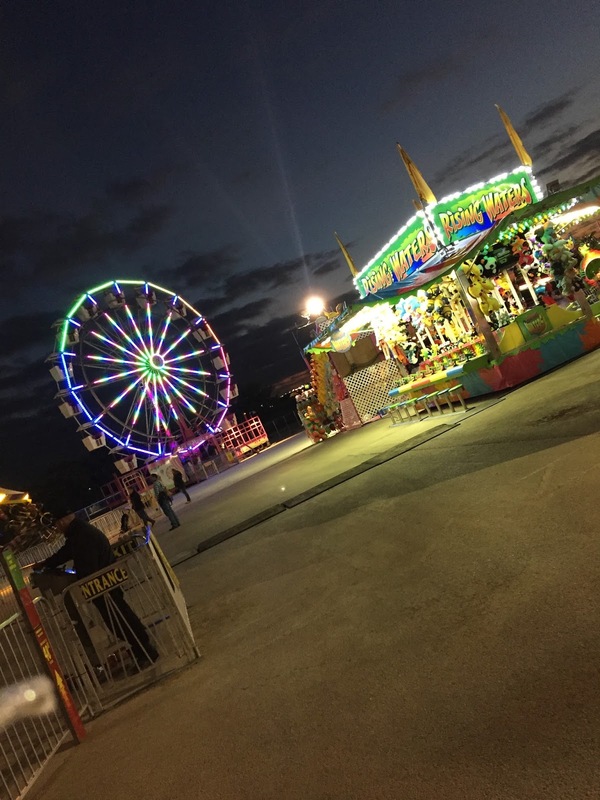 Plus, you get UNLIMITED carnival rides with admission. This means you can spin round and round as often as you want. My mom is braver than I am so she went on several rides with Natalie. I did go on some though! And yes, there is TONS of delicious food. Funnel cakes. Cotton candy. Burgers. Chinese food. We decided to try these Texas Snowflakes, which was basically a hard version of a funnel cake. 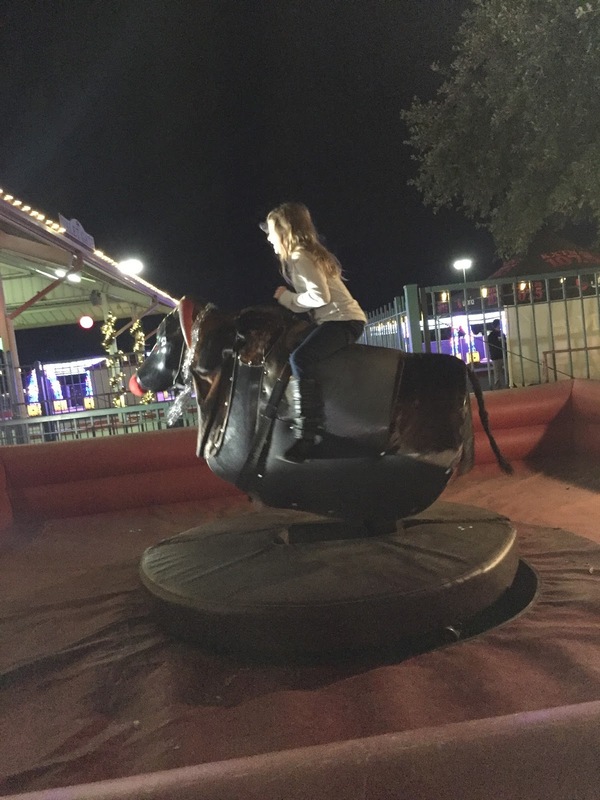 Natalie also rode a bull! 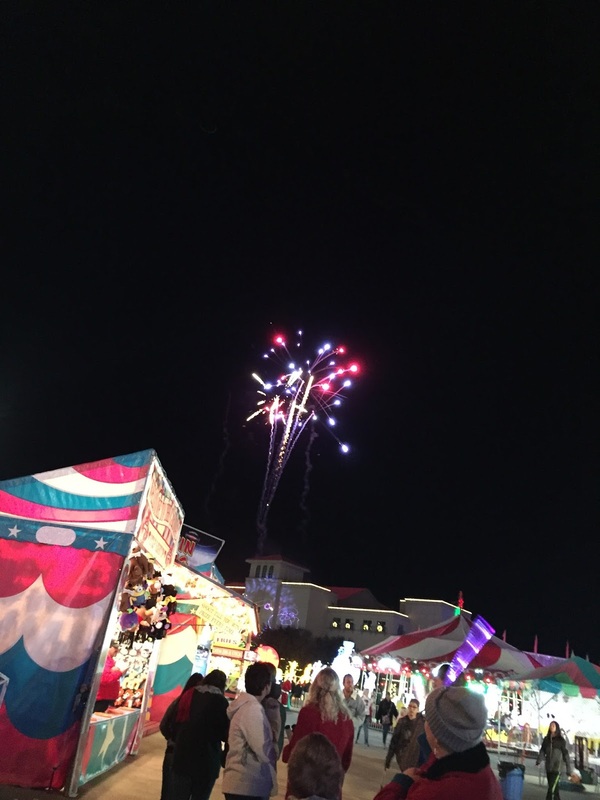 Plus, we got to see some fireworks! 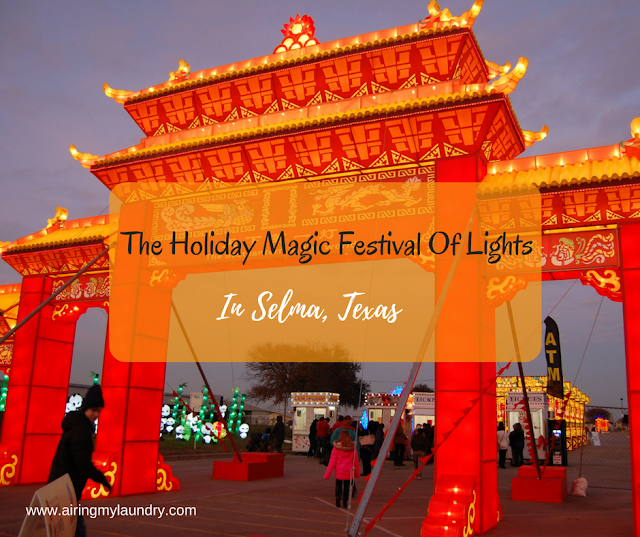 So if you're in Texas and are looking for something exciting to do, check out the Holiday Magic Festival Of Lights! It'll be open until January 8th. Do you enjoy looking at lights? So pretty!! I love lights. So many people decorated up here in Boston....the city looked incredible. I wish we had gotten here earlier wah! This looks SOO much better then the one here in Singers. HAHA. 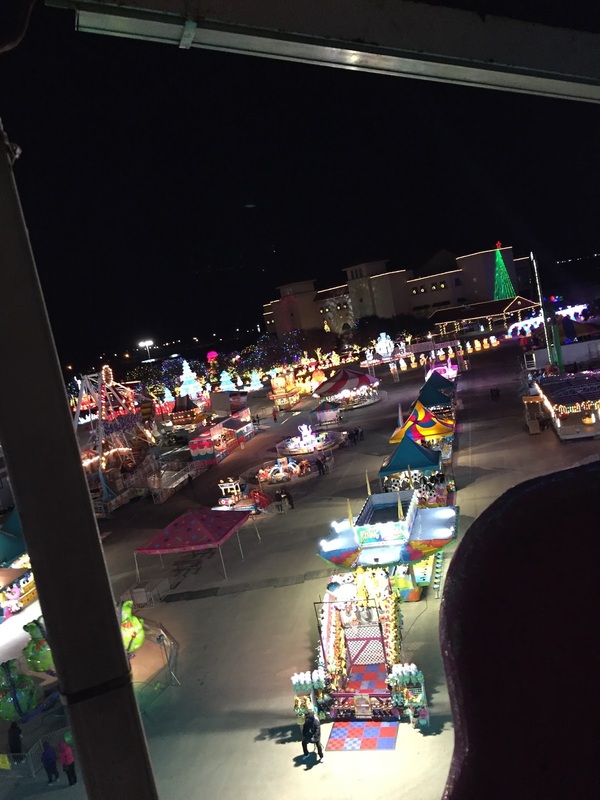 I like that you can ride the rides as much as you want!! So amazing!! I wish there was such a deal at ours, or rides for bigger kids.. but alas, it's too cold/snowy here for outdoor rides. Maybe someday I'll get to visit one of the amazing light places in the south at christmas. Oh Wow, How much fun would that be! I love that they have different themes each year to Christmas lights, The Chinese Christmas festivities in lights looks so beautiful! FOOD! Yes, I pay special attention. 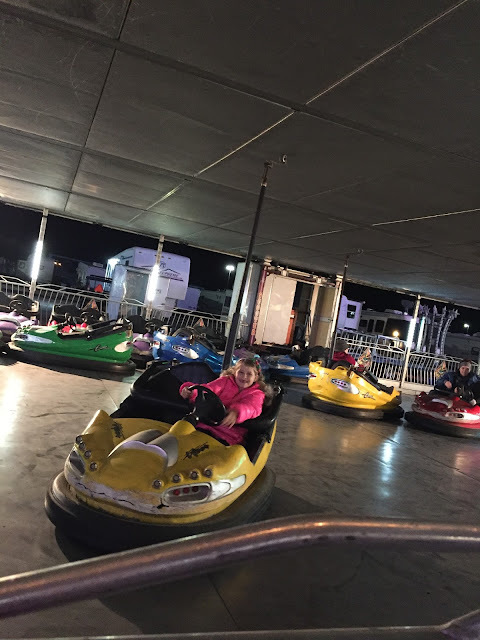 We had rides and food at our local lights place. In fact, it was the only time I've ever gotten dizzy on a carousel, because I was also trying to film it - looking at a tiny phone. Now I have learned my lesson! Heights don't bother me, somehow, but other things do! What gorgeous lights! My family would love to do something like this. We love carnival rides and funnel cakes! This looks like SO much fun. And so many yummy treats. Looks like you all had a blast. Looks stunning, I love all the pictures they are so vibrant. What a great evening out. Lights are my favorite things about the holiday so I think this place looks perfect! Wow! Looks pretty interesting :) I love going out and seeing all the different lights during the holiday season!! Looks like the sibling had a lot of fun out there. Who will not enjoy that parade of lanterns that was so festive and colorful in the eye? It looks so gorgeous there and it looks like your Daughter loved it! I've always wanted to go to Texas. I wish I lived near where you are as you are always going to cool places! I love lights at Christmas so this place would be perfect. And the fried oreo looks divine. Looks like a fun event to share with the family! I always try to seek out a festival of lights of some sort in my area during the holidays but just never get the chance to get out to see it. I love how the Texas snowflakes look...so cute and fun! Those light displays are fantastic! Selma really goes all out. Good for your daughter for riding a mechanical bull! They can be tough. What a lovely idea to combine exciting lights, some world culture & of course, great food ... for a wonderful night out. Those are some great light displays. I like the dinosaurs the most. Amusements rides just make this festival even better. I have outgrown or enjoy some rides a little less then I used to too. Oh my goodness, this is so beautiful! At first I thought the pictures were from Disney World, love it!! They are stunning especially at night. Wish to bring my family on this festival in the future. Thanks for sharing! such fantastic lights - so many colours! 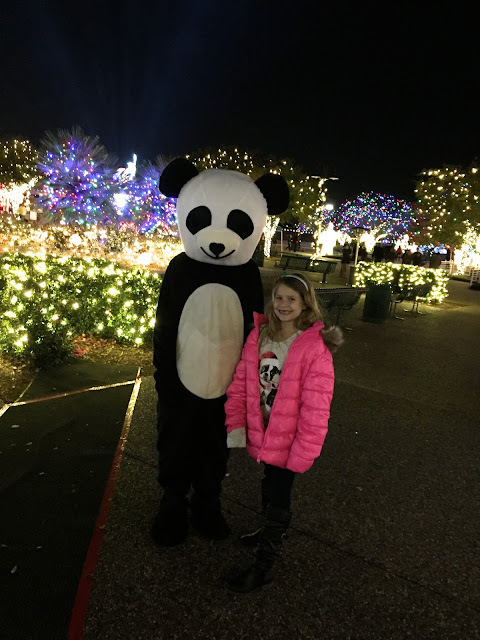 Can't believe you got to see those, meet a panda AND eat a fried oreo - perfect night out!!! Oh wow! That looks amazing. My children would love it but would also be in complete overload. Love all of the lights, it looks like you had lots of fun :) Thanks for sharing! The lights are so beautiful and the overall, the event sounded so fun! Also, good for you for donating!! Those lights display are amazing and beautiful. Overall were amazing. I live in Texas! I need to start finding out more events like this. I love the photos. The lights and decorations are beautiful! 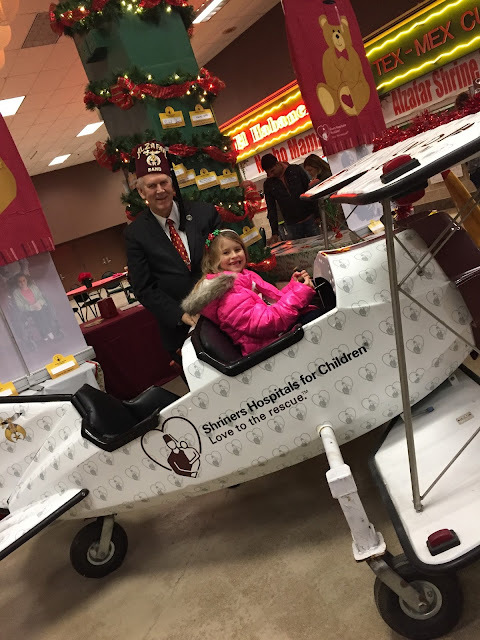 What fun for the family to enjoy! Great pictures, made you think you were there! I love going to places like this with the kids! It's awesome and it's always fun! It will definitely lift your spirits up! --Elizabeth O.
oh wow i would love to see those lights in person. and omg those fried oreos are calling me name. Wow! This is something really amazing. Can't take my eyes off from your pictures. Looks like a great experience. Thanks for sharing such beautiful experience. Adding this to my bucket list right now. It looks like you all had a wonderful time! I love all the different traditions! What fun! These pictures are so pretty. I want to go! 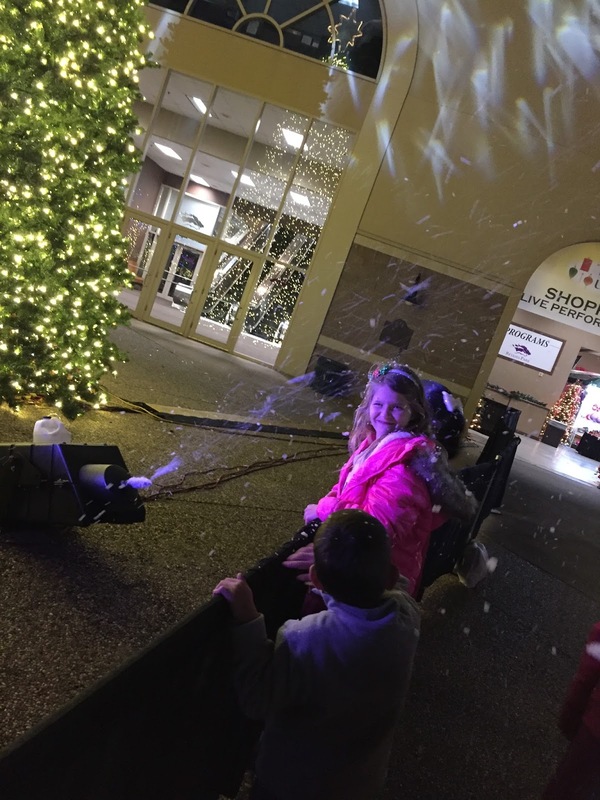 The Holiday Magic Festival Of Lights sounds amazing and should be a great treat to enjoy with your family and kids in particular. The pictures are beautiful and I can see there is a lot to have fun all through the show! Everything looks amazing. Lights specially signify the festive season. I want to visit Texas once really bad.